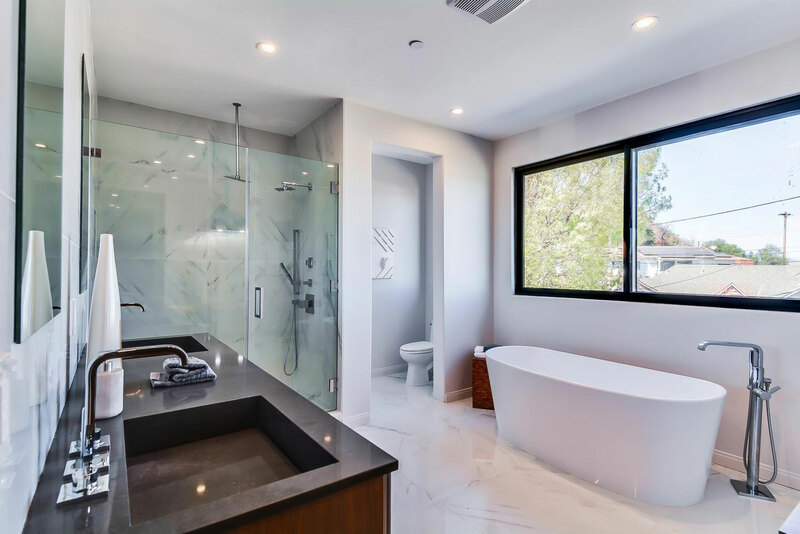 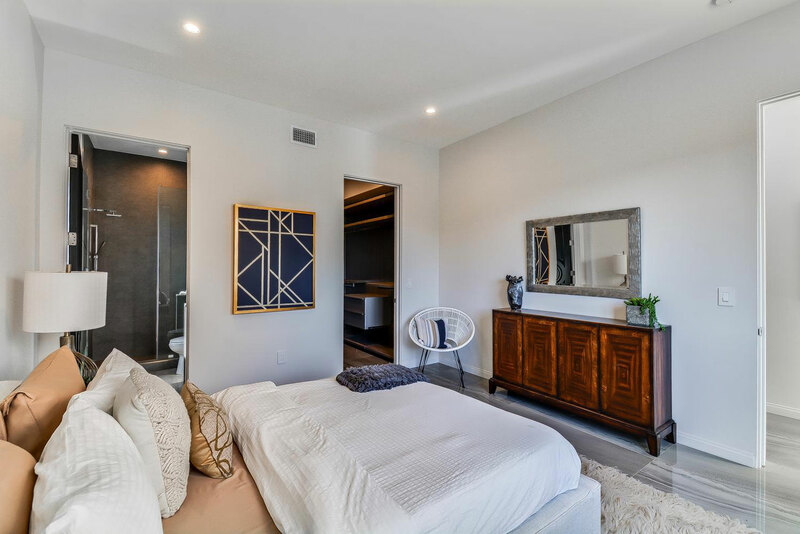 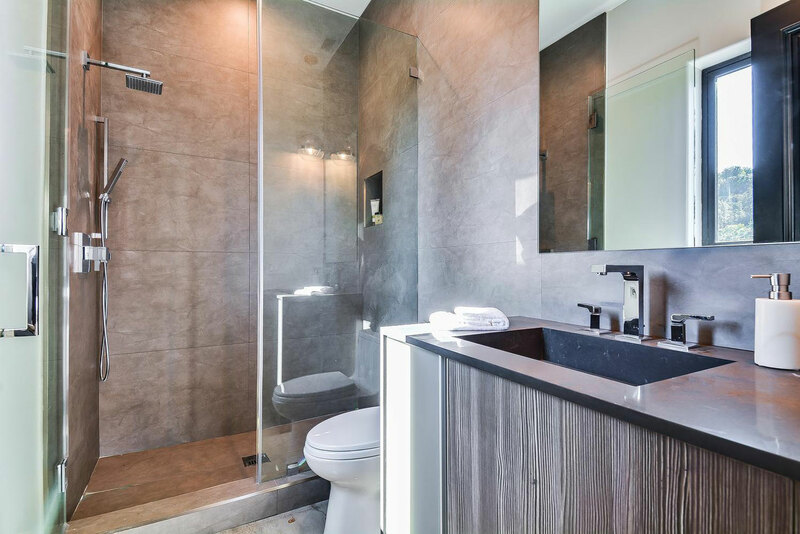 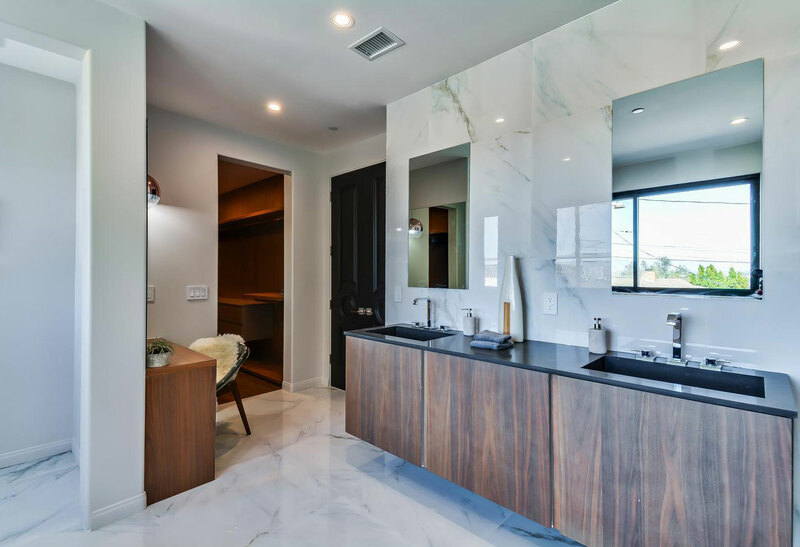 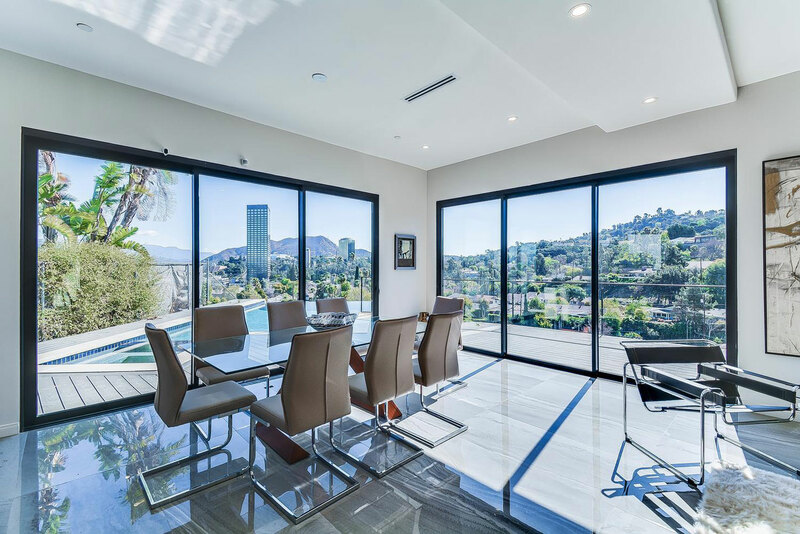 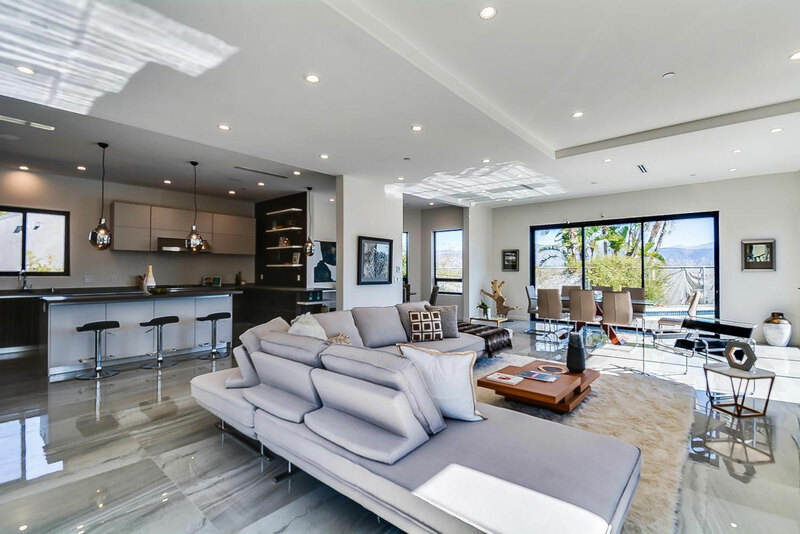 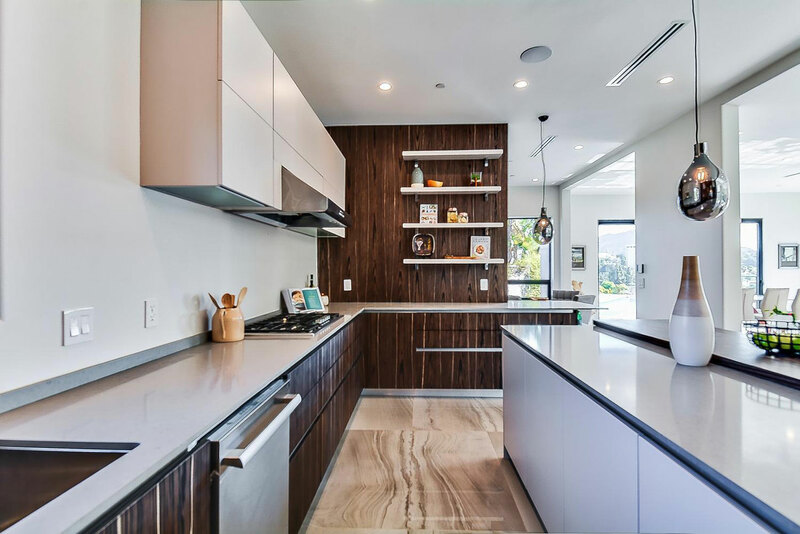 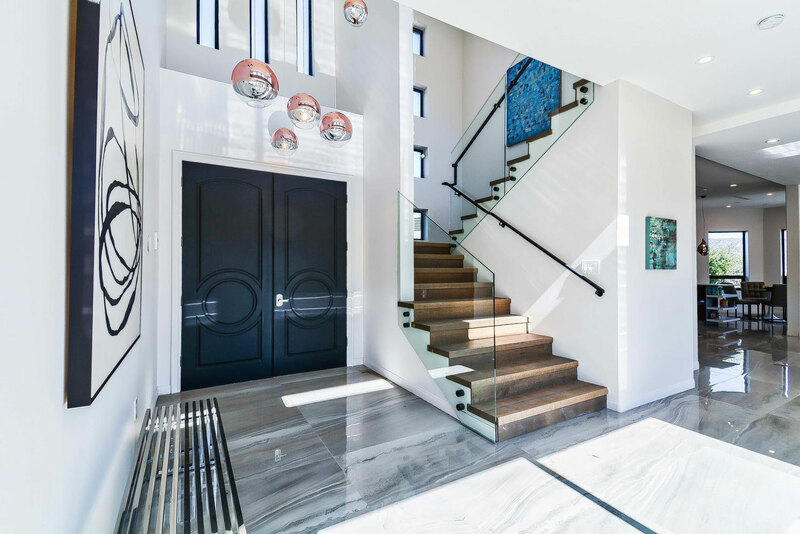 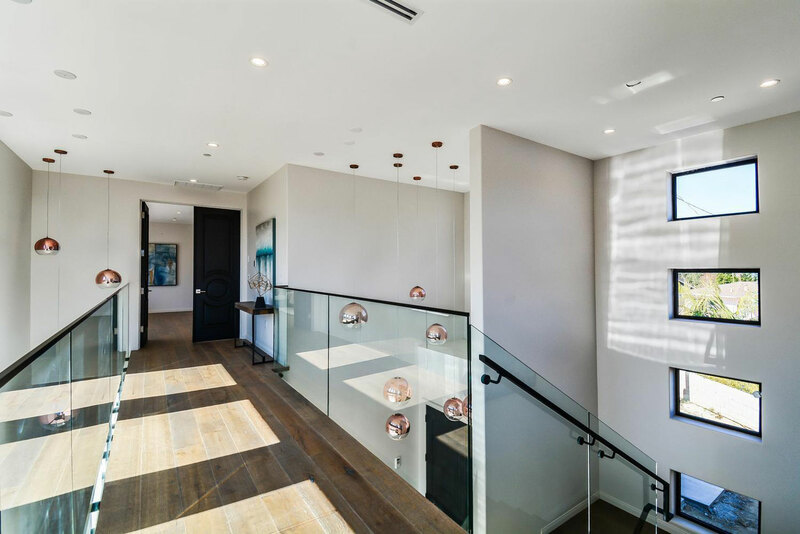 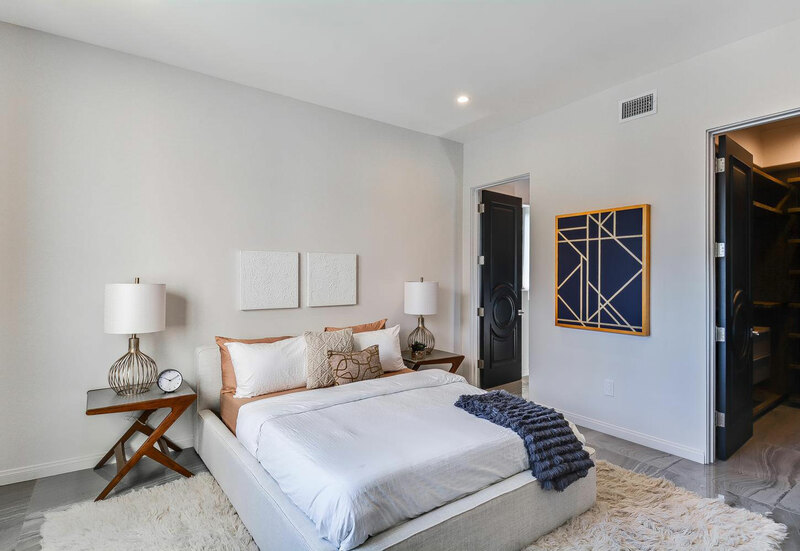 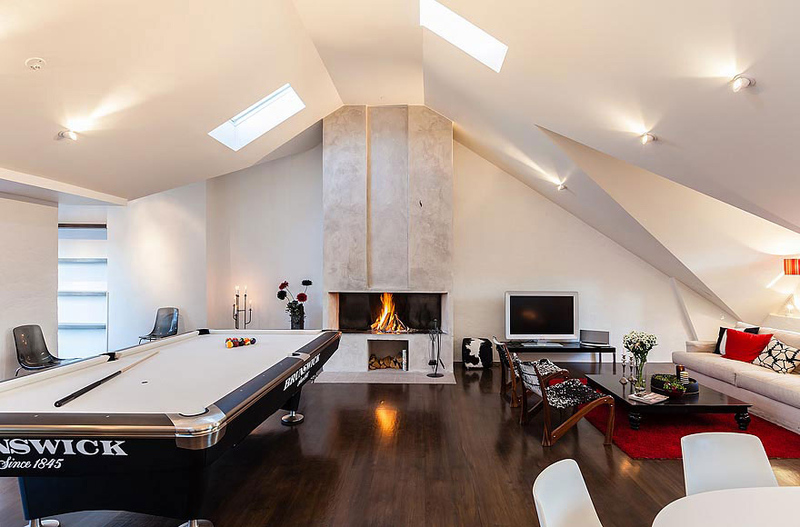 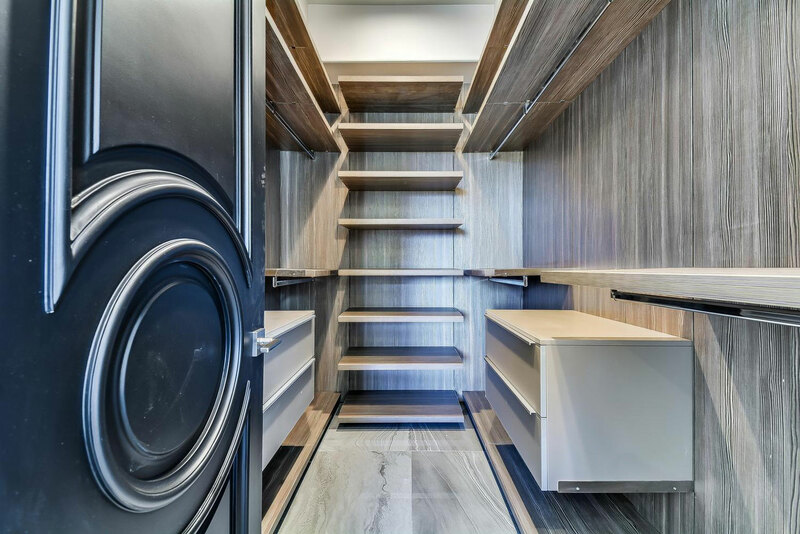 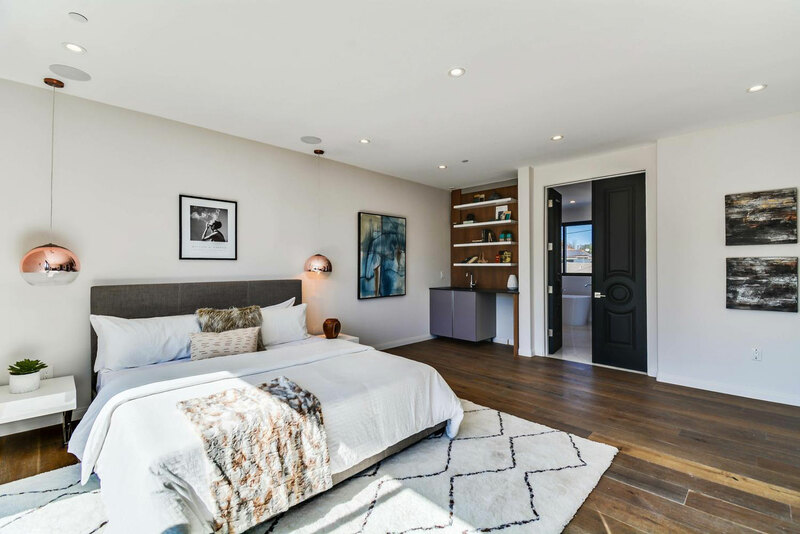 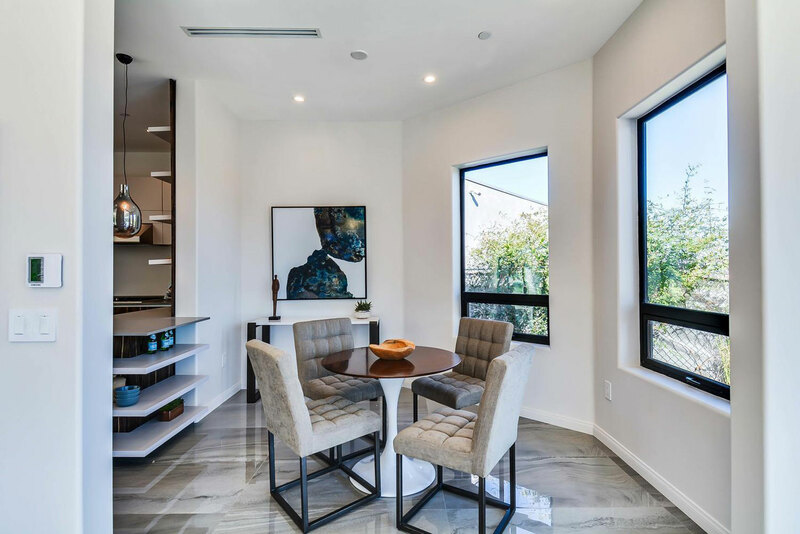 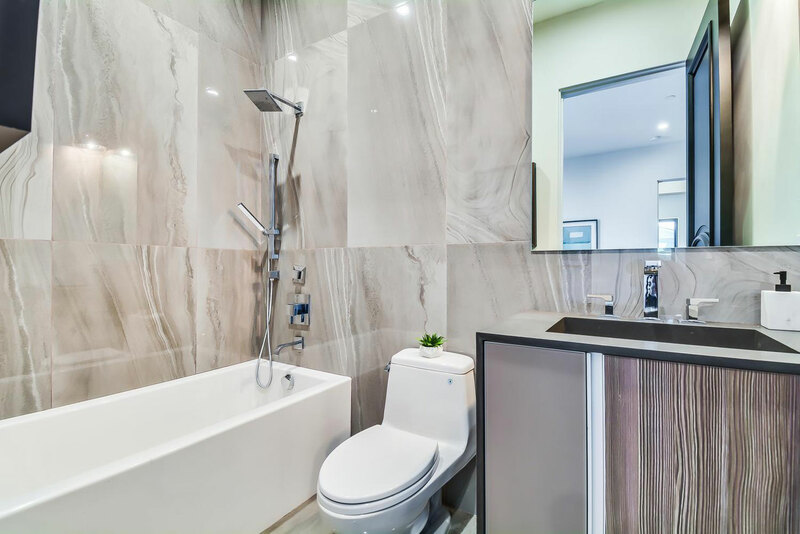 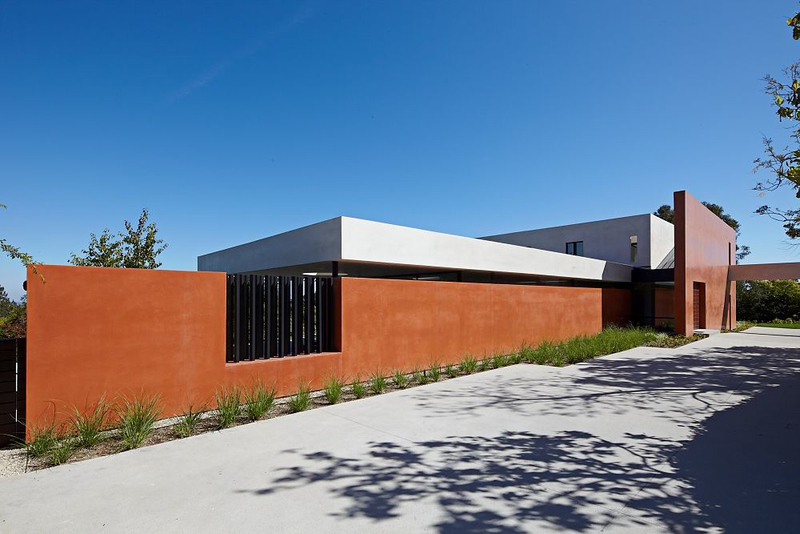 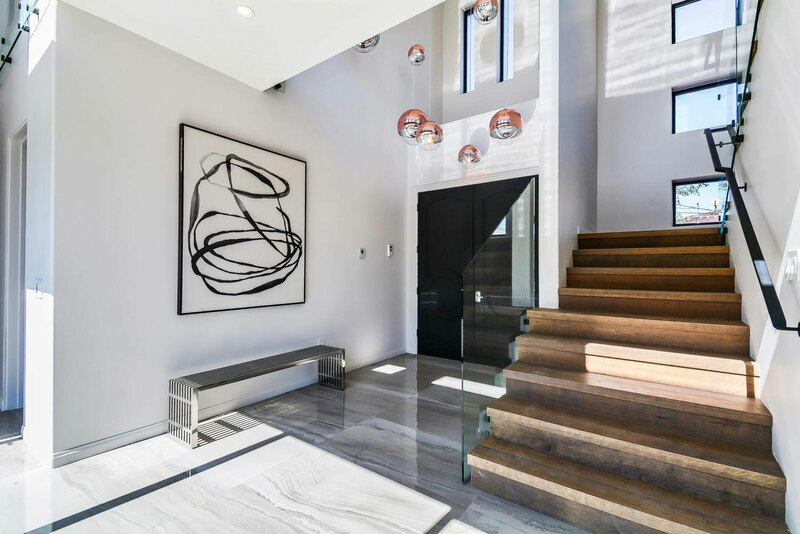 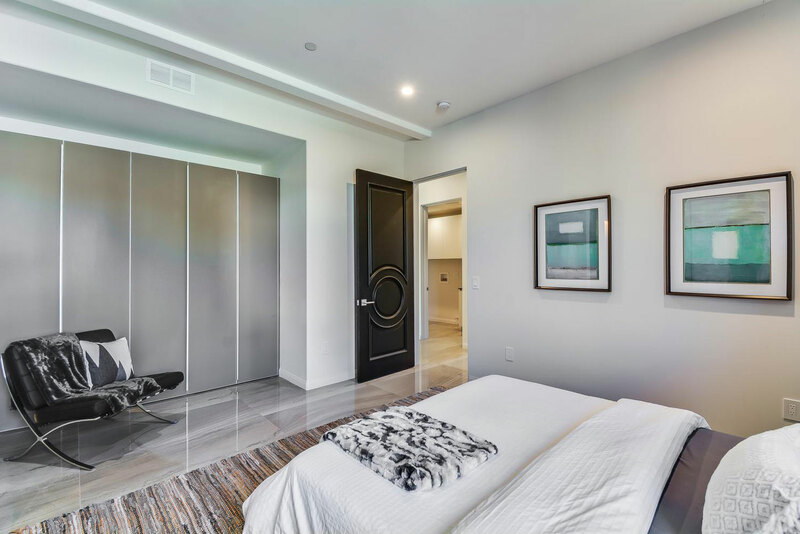 This delightful contemporary home was designed and built by the Burbank based firm Golden Line Construction Inc. A double-height entrance with pendant lighting leads into the open plan kitchen, living and dining area. 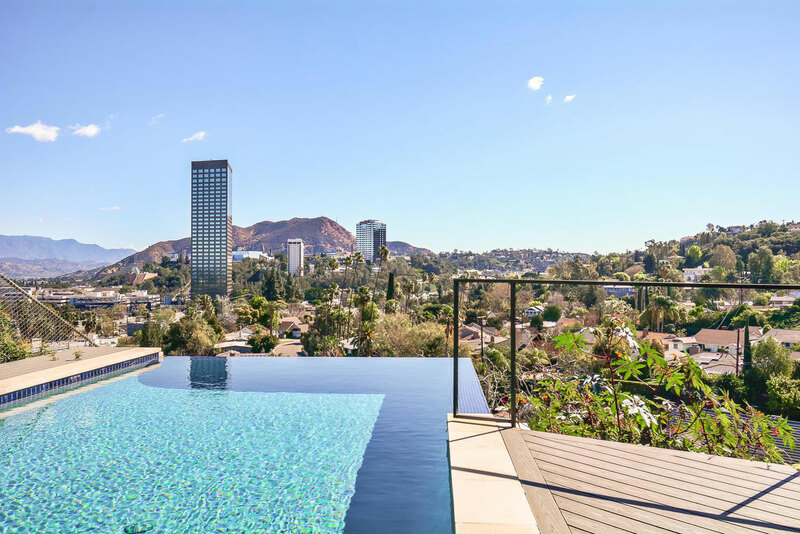 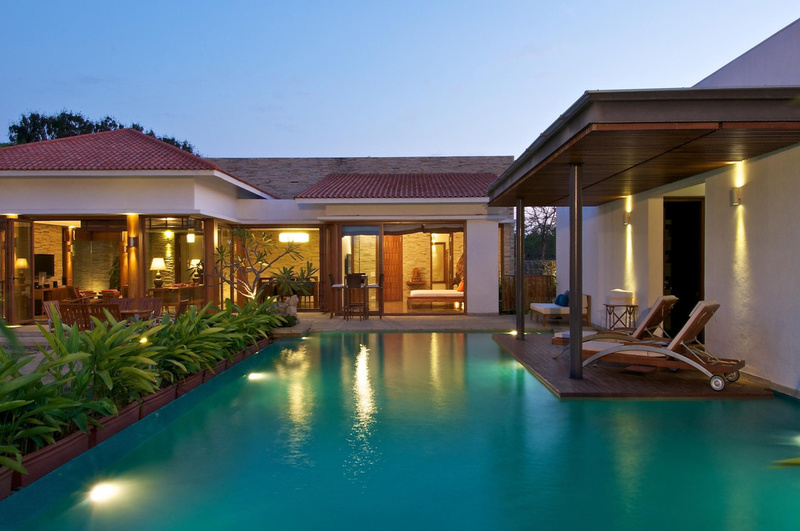 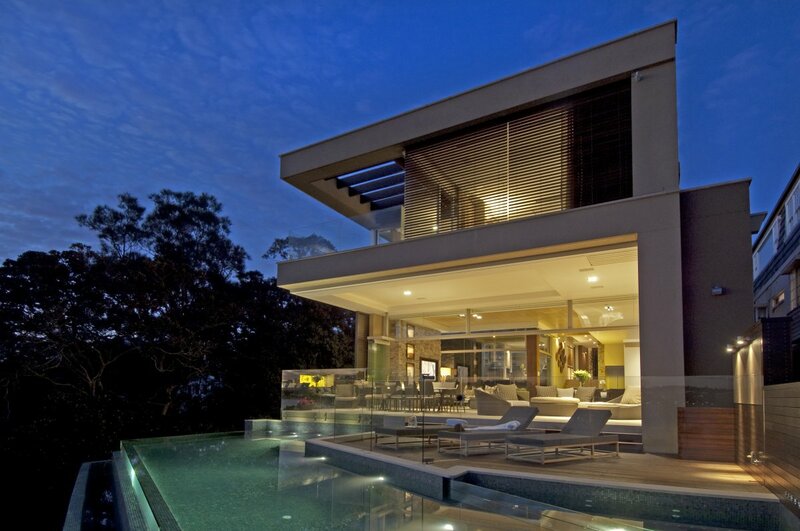 The terrace and pool area enjoy panoramic views over the city and mountains beyond, as do many of the rooms. 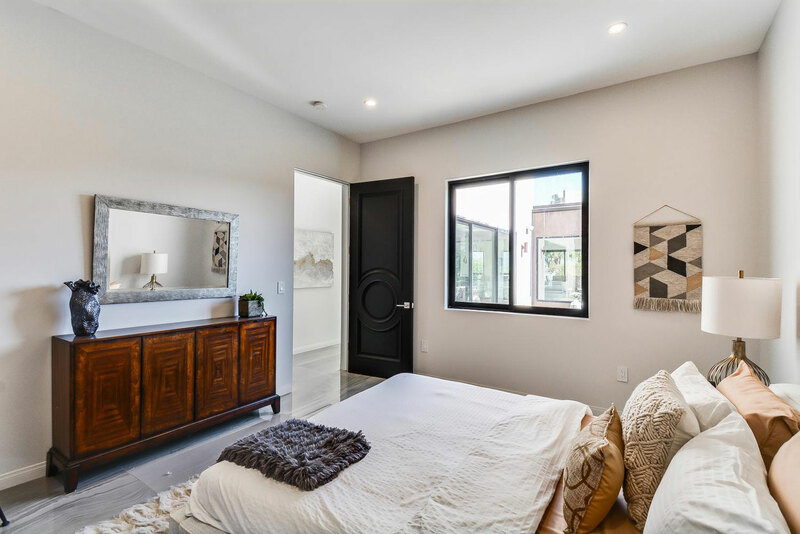 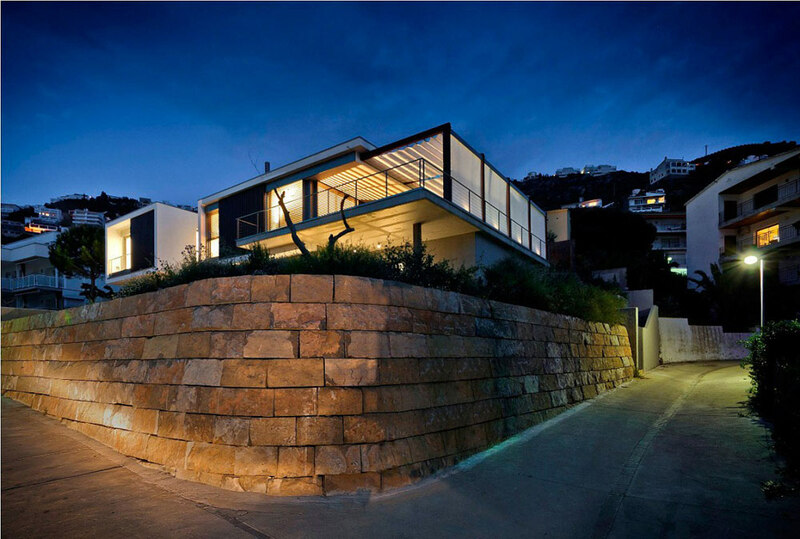 The Wrightwood Pl Home is located in Wrightwood Pl, Studio City, California.